As subscription services go, for me to actually keep one for more than one box is something to celebrate. 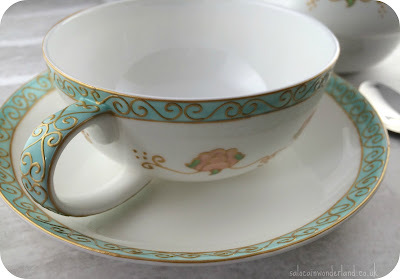 After loving my first TeaTourist box, it was a no-brainer that I would be getting another! I have spent the last few weeks discovering some new and exciting flavours. Let’s have a look what’s been tickling those tea leaves, shall we? This month's box was getting us ready for Spring, with some much-needed winter detoxing and strong earthy flavours. 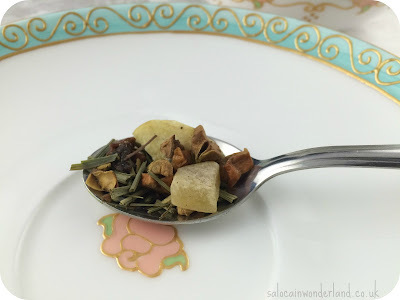 Reggae Refresh - Born Wild Tea The fruitiest of the bunch, this smells like Summer, not Spring! I love a good, strong fruit tea and the longer this steeps the better for me. Papaya, mango, lemon grass and honey are some of the tropical ingredients in this one. I also love the whole banana chips thrown in, that’s something I’ve not seen before but could very much appreciate! I’ve yet to have it iced, but as hot teas go it’s like a Summer beach party in my mouth. Pure Ceylon - Exclusivitea Have you seen that tea meme going around of late? I tend to go for either a semi milky looking brew or pure black tea. This seems to have divided opinions in my Whats App groups, though! 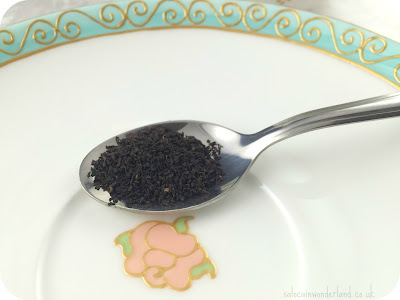 There is nothing like a good, strong, truly rich black tea. It’s an acquired taste I’ll give you that but when one comes along like this Ceylon, oh, it is tantalising. So rich and dark, it’s about as close to coffee as tea can get and has this earthy scent to it that I love. 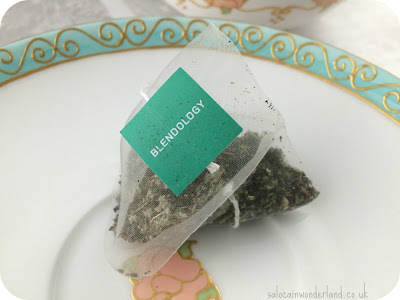 Recover Tea - Blendoloy I’ve always thought hangover teas were kind of gimmicky. I mean for me, there is no cure, just a temporary break in my self-inflicted suffering. I did, for all blogging purposes, give this a bash after a somewhat heavy session. A blend of nettle, peppermint, burdock and dandelion, everything has been chosen for being super detoxifiers and eyeball popping waker-up-ers. Though it didn’t cure my hangover, it did help me to feel a little more human and give my much-abused insides a hug. I find it to be a great start-the-day tea, no hangover required! Rooibos Earl Grey - Tea Leaf London In a bid to lower my caffeine intake, rooibos has become my go-to late night tea when I don’t want something all herbal and fruity. It’s got a solid, strong flavour, much like the Ceylon black tea but a much more delicate aftertaste. The biggest win for me is how darn pretty it is. Beautiful Cornflower petals have mixed in, giving off an almost magical blue glow amidst the sandy red colouring. Match Green Tea - Teaologists Yay Matcha! I was hoping they would send some out! I had a fabulous experience with Matcha last year trying it out but haven’t remembered to pick any up since! Matcha is kinda of like the Marmite of green tea and a very acquired taste. 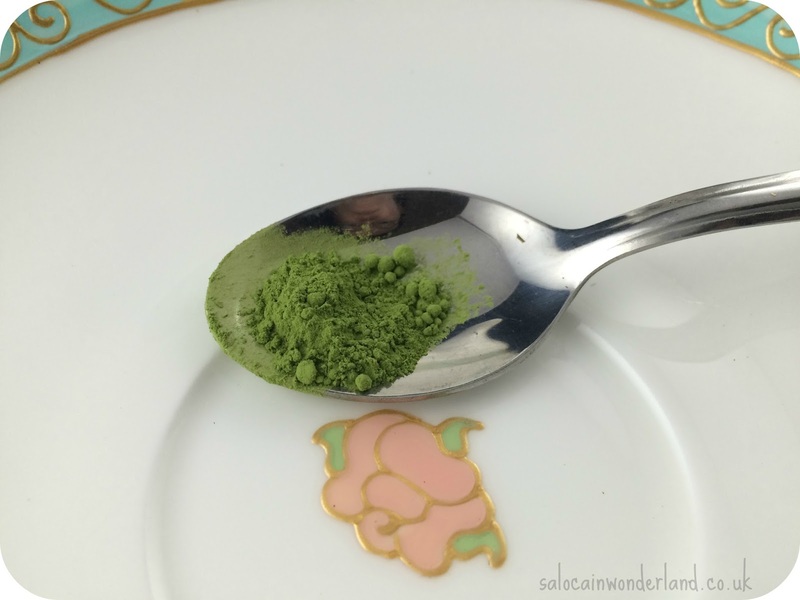 This one is delicious and if you’ve never tried matcha before. A perfect starting point as the taste is so mild and smooth. I use around 1/4 teaspoon per drink which gives enough grassy flavour for me whilst reaping all the benefits! Gunpowder Tea - Morgans Brew Tea Company Another beautiful, earthy tea from this month's selections. 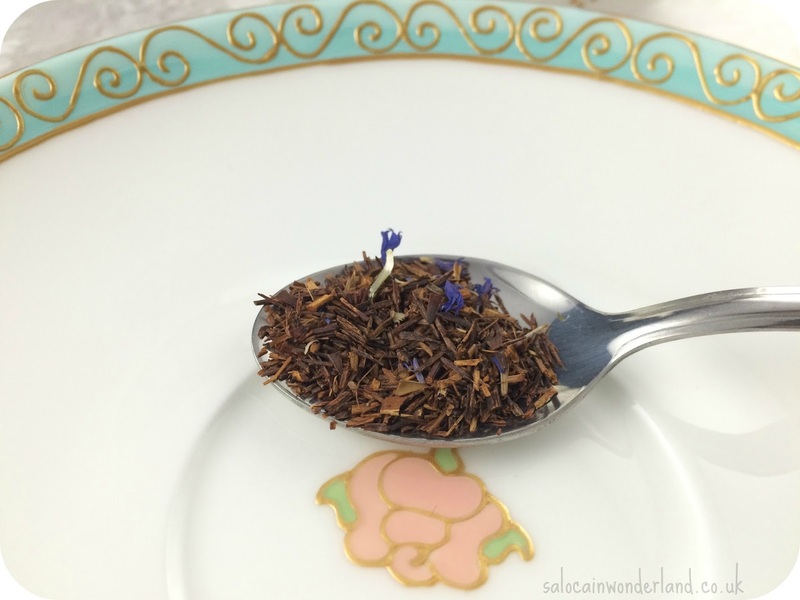 Its flavour comes somewhere between the Ceylon and the Rooibos. Add a little honey and it’s the perfect dessert tea. It suggests steeping this for 3 minutes, I actually prefer a shorter steep with this one if I’m drinking it neat. And that’s it! 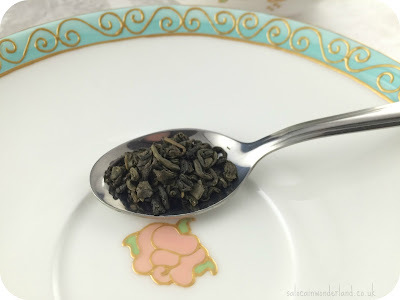 Another month, another tea-venture had! I have loved the earthy tones of most of this month's teas and can’t fault a single one of them! For the price, these boxes seem to last beyond the month, and I drink a lot of tea! 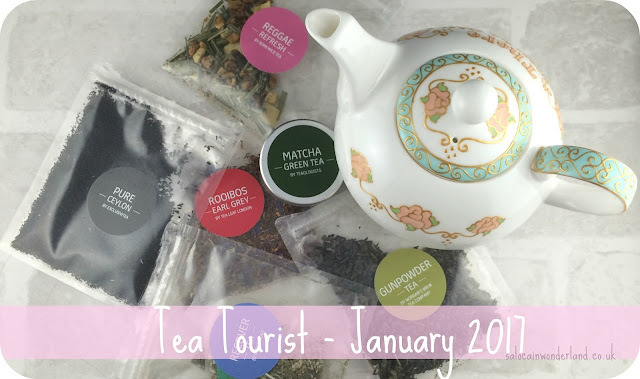 I’ve still got some tea left from last months TeaTourist box too that I’m working my way through! If you’re interested in trying out your own Tea Tourist subscription, you can get a tea-lightful 30% off your first box with the discount code SALOCA30 - happy brewing! I can honestly say that no blog post has ever made so thirsty before! This is a brilliant review, Sarah, you really know your stuff! Glad you enjoyed it! This sub box is fantastic! Just ticks all the right tea-boxes for me!